Spontaneous trip made easier. Pack & GO now! Redefining travel rewards. 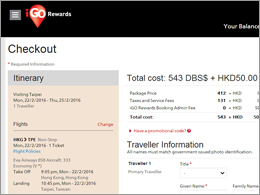 Use DBS$ or COMPASS Dollar to redeem flights, hotels or packages at any time to create your very own excursion. Enjoy exclusive 45% redemption discount with your DBS Black World Mastercard®! To book your desired travel products, simply use a minimum of DBS$100 or COMPASS Dollar 100 and pay for a booking administration fee* for each booking! 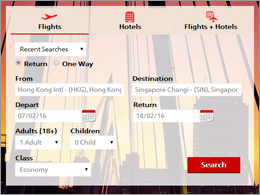 Redeem with a mix of "DBS$ + HK$" or "COMPASS Dollar + HK$"
This dedicated travel services centre helps cater for your special needs through the journey and arrange for amendments/cancellations of your booking. Let’s GO! 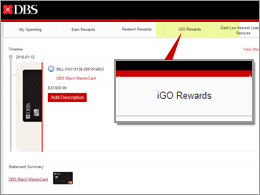 Click "iGO Rewards Website (Trial Version)" now to enjoy a revolutionary booking experience! 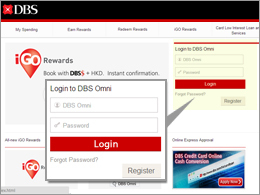 In other words, redeem using DBS Black World Mastercard to enjoy favourable rate of DBS$1 = HK$1.82! 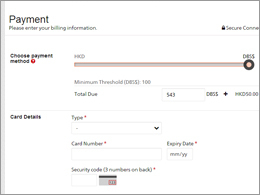 You can also use “Payment slider” to allocate the amount of DBS$ to use and redeem flexibly with a mix of "DBS$ + HK$"! 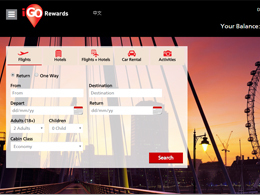 Logon to iGO Rewards and book flights/hotels in just a few steps! 3. Filter your search result by price, departure/ arrival time, amenities etc. 6. 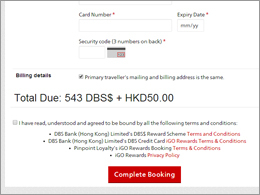 Input the details of the DBS Credit Card you signed in with, then press "Complete Booking"
* Booking Administration Fee is HK$50 and is non-refundable. It can only be paid using the same DBS Credit Card you signed in with. 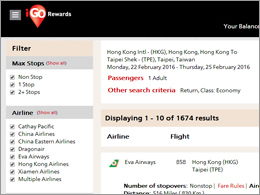 ^ No flights/hotels booking can be made via iGO Rewards Travel Services Centre. 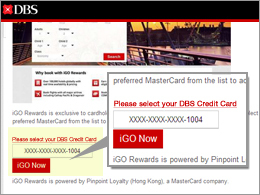 iGO Rewards is powered by Mastercard Travel Solutions Hong Kong Limited. The Travel Agent License No. of Mastercard Travel Solutions Hong Kong Limited is 354081.